“I like to let them think I’m boring,” said Sara Bannerman. Describing her interests and activities, though, the ninth-grade honors English teacher rapidly dispelled any possibility of being referred to as “boring.” Bannerman’s day-to-day life, including experience in contact combat, fencing, photography, and music, rivals that of the literary characters she teaches students to understand and appreciate. Born in Jackson, Mississippi, Bannerman said, “I left and came back to my roots.” Her family moved to Louisiana when she was 12 years old. Her father worked there as a petroleum engineering consultant for two years. The family then moved to the coast of Mississippi to be nearer to their extended family. 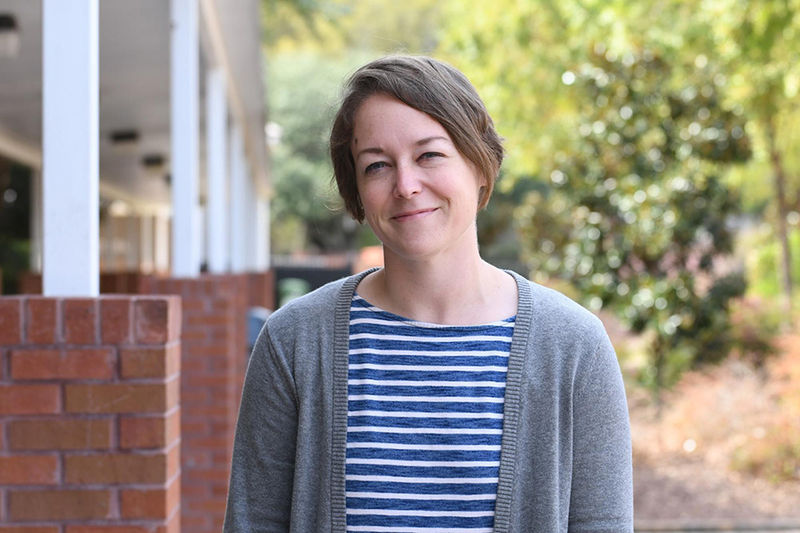 When it came time for college, Bannerman returned to Jackson to attend Belhaven University. Bannerman brought her own welcoming committee when she returned to Jackson. “My closest friends from every place I’ve lived ended up going to Belhaven,” she said. When not studying English, she taught herself upright string bass and explored every corner of campus alongside her friends. “I had never really planned to be a teacher; it was a really natural thing,” she said. After college she continued to study English in graduate school at Mississippi College. Bannerman worked at Starbucks for a time before being hired to write textbooks. In 2012, she began work as an adjunct professor at MC where she now teaches American, British, and World Literature. Between teaching at JA and MC, Bannerman pursues her certification to teach krav maga, an Israeli form of contact combat. During the summer of 2016 she trained in Los Angeles at the same facility as Christian Bale’s daughter. He came to watch. She has studied fencing and Victorian post-mortem photography, and learned upright string bass on a whim.